Its onset has always been related mainly to allergic reactions and immunological system, what is right. Most cases of urticaria, itching, redness or rhinitis are the response to an antigen-antibody reaction. These reactions cause a release of endogenous histamine, which generates signs in the skin and respiratory system. 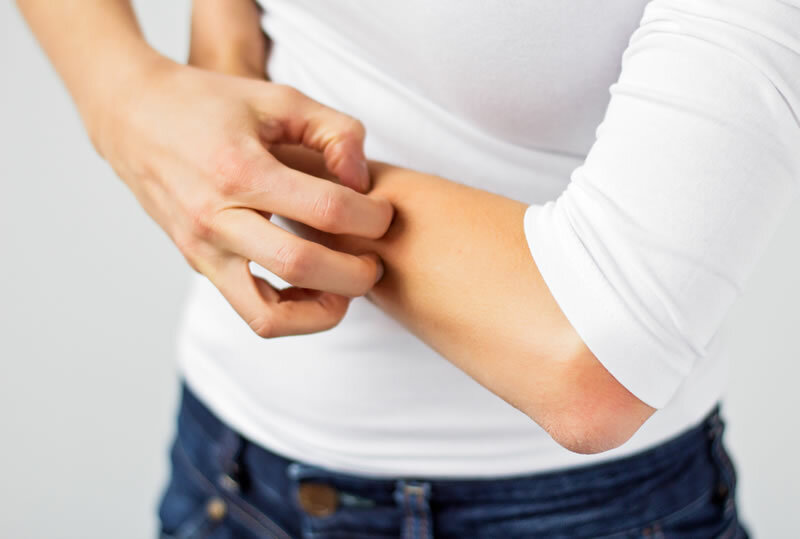 Nonetheless, there are patients with negative skin tests and normal immunoglobulin (Ig) E whose cases are not related to allergies or infections. When this happens, allergists look for other causes, amongst which is the deficiency of Diamine Oxidase (DAO) enzyme. In any case, it is frequent that patients suffering food allergy present DAO deficiency as well, a fact that worsens symptoms and make the dietary treatment even more necessary. When it is necessary a low histamine diet? It is known that histamine can be generated by the body itself, but also taken through food. If we are not able to eliminate it, histamine accumulates within the organism. Both “histamines” are the same molecule and therefore, they can cause similar symptoms in the event of accumulation. If the immunological nature is discarded when studying skin or respiratory disorders, it becomes essential to know what the activity of DAO enzyme is. A positive result will make necessary to start a dietary treatment along with a low-histamine diet.